Another splash page full of bears and background. These pages make this comic what I want it to be. They also make my hand hurt and take a lot of time, and that is one reason I haven’t finished the page after this one yet. Hopefully I can get it done in time for Kailey to color it and stay on schedule. Please grant that this is a photo someone took of a screen at an event where they were previewing an episode of this new VeggieTales. Me and my good friends have been working hard on this show for close to a year now and I’m pretty proud of what we’ve done. I’m excited for VT to have a new look and we’re working hard to make it a show that is fun for all ages. I know it’s not Bearmageddon or Axe Cop, but I genuinely enjoy making things for kids, and I also enjoy the license VT affords me to tell simple, moral, Christian stories with as much humor crammed in as possible. It’s been a real learning experience, but it’s been a blast. The show releases around Thanksgiving on NetFlix and those involved include my friends Doug TenNapel, Mike Nelson of MST3K as well as Rob Paulsen, Tress MacNeille as well as the original creators of Veggie Tales Mike Narwocki and Phil Vischer. I am only repeating info that has been posted elsewhere online here, so for now I don’t know if I can say much more. I hope you’ll tune in, especially if you have kids! 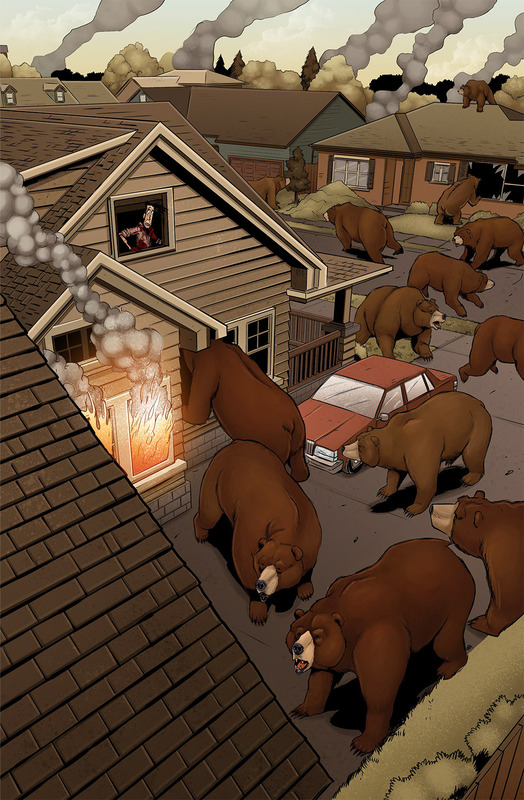 Street of Bears would probably be an awesome iPhone game. Just don’t do something terrible where you have to pay actual money for health every 2 minutes or something. Christian stories? What, like christian morals, or is this a full on bible adventure thing? Yeah, I had exactly the same question. I’m Christian, but unless it’s actually parables or stories related to the Bible, I personally don’t think ‘Christian stories’ is a fair way of saying ‘stories with good morals’. At their core, every major religion essentially has the same morals and essentially the same messages. If the stories are directly connected to Christianity in particular (like fun and kid-friendly, VT versions of the prodigal son, the betrayal of Judas, the resurrection of Lazarus… That kind of thing), then sure. Definitely Christian stories. If the messages are more general (don’t steal, be good to your neighbours, don’t lie or cheat, etc) those are just basic morals supported by good, decent human beings of any religion or lack thereof. Not trying to be preachy (apologies if it comes off that way)… Just wondering how Christian the Christian stories are, and making sure that we acknowledge that there is no monopoly on decency and morality. Veggie tales is all about full-on bible adventures, with talking vegetables playing the part of biblical characters. IIRC, and it has been quite some time since I saw anything from Veggie Tales, they vary from “ripped from the old testament” to “loose adaptation,” but the majority are pretty clearly christian. That said, this seems like a new series to me, so it could be different. I remember the classic series being pretty half-and-half: Some episodes were the loose adaptations of actual Bible stories, and some were just “Teaching basic morals” cartoons with an “Oh by the way, this is the GODly way to do things” thrown in at the end. I also remember someone observing that they seemed to never mention Jesus, as if they were trying to snag a Jewish audience as a bonus or whatever. I don’t know if that changed later. Trying to make Christian TV for a broad audience is complicated. Many of the people you work for are not Christians, so you do what you can. This version of VT will not be bible stories. It will be more like a sitcom set in the work the Veggies all actually live in… a kitchen! For me, I have to enjoy what I do and do the best with what I am able to do in this job. I can’t sit around and come up with the perfect-world version of what I think this show should be then be upset because that’s not what is getting made. I have to be proud of the show we made within the circumstances, limitations and other factors… and I really am. I think it’s really funny. Wow, it’s been a loooooong time since I’ve been on here! I have a LOT of catching up to do! NOBODY TAKE THAT! IT’S MINE UNLESS ETHAN WANTS IT! Well… I hope the guys can fly. Nonononononono! Not an unnecessary makeover! This looks just as bad as what they did to Pacman! Nonsense. Children have become used to the 2.5D that many animated shows express nowadays, rather than the flat strictly 2D animation that many of us grew up on. Either way, the target audience will not care. 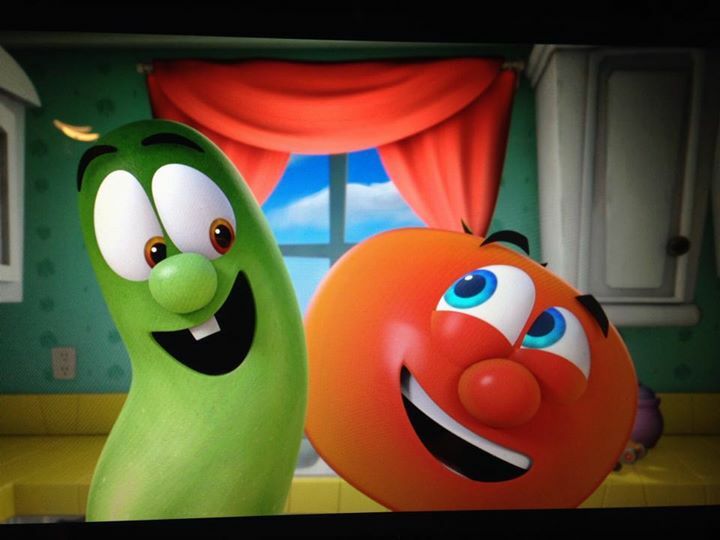 I told my 5-year-old that there was going to be new Veggie Tales, and her response was a big smile, along with the inevitable, “WHEN??”. That being said, she also likes things like old-school Scooby Doo, so YMMV. Appreciating the work you put into this. And now they’re even coloring his arms blue! I can’t believe that they would take away those noodly, wierdly flesh-toned arms that have been around since the beginning of the franchise. I mean, really. What’s up with that? Just got caught up again. So stoked to see where this story goes. Seriously, this opens up a whole new bear mutation. Asparabears, cabbagebears, bearoccolli. Okay, maybe not seriously. Okay, so I just got finished catching up. So this has been going on for three years and so far we’ve gone through what, three, maybe four nights? Less than a week anyway. I’ve got a feeling this is going to be a LOOOOONG comic. It’s too bad that wasn’t actually a splitting maul… Fire Bear would likely have suffered a lot less. Poor Fire Bear. 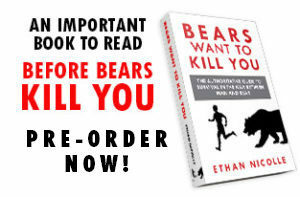 Well, when Ethan embarked on Bearmageddon, the Axe Cop rollercoaster had not yet reached its height and he didn’t have all this other work going on. Plus a wedding. Plus a whole bunch of other stuff that led to understandable delays on a book that seems to be mostly a work of love amid all the paying gigs. It makes new pages a thing worth celebrating, though. https://www.youtube.com/watch?v=0eHqFVn7Xsw I wish that I had found this when Gogs was on an improvised-weapons spree. Potato flails w/ Duct Tape ftw. 2. theres a side scroller beat em up called fist of awesome. main enemy: bears.